Inbox Group is an independently owned, family-operated business with over 35 years of experience in the packaging Industry. The family members in the business have been making boxes most of their lives. Previous generations of the family were also manufacturers of packaging. We are passionate about what we do and aim at providing a personal, friendly service to our customers. Our goal is to provide good quality products, on time and help our clients by giving them solutions to their packaging problems. Over the years we have collected up a wealth of knowledge about making boxes and display stands, including the machinery used to make them. 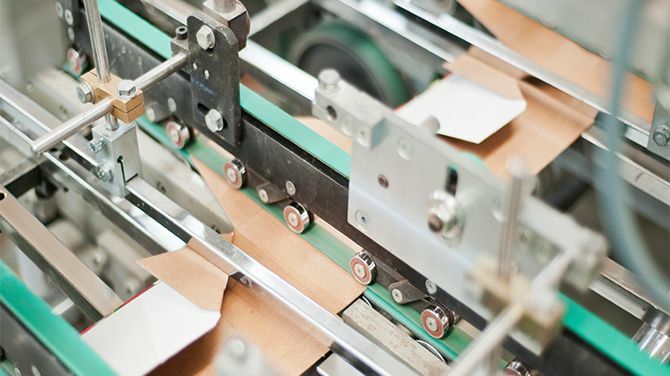 We like to keep up to date with new technology and utilise the advantages the modern machinery and techniques bring which helps us design and engineer your high-quality, custom packaging. Custom packaging can have many design options, with different coatings, treatments, adhesives and printing types. A lot of the machinery used to make custom cardboard boxes and displays is very specialized. Different packaging manufacturing machines are used for different tasks. Printers are needed for putting your information and graphics onto your custom packaging. Die cutters are used for cutting out boxes with specific shapes and dimensions. Laminators are used to laminate printed sheets to the cardboard. Gluers are used to glue some parts of the boxes or displays together. There are so many variables that go into manufacturing customized packaging it can be challenging. We are not manufacturing the same item over and over where we could have our machines perfectly tuned to produce a consistent product. We are manufacturing different and varied products all the time so there is skill required in operating our machinery. Test runs are made to make sure everything is functioning properly and the product is exactly what our customer is expecting. For more fancy or elaborate packaging or floor displays and counter displays there is more skill involved in setting up the machinery and colour matching the print to our customers’ requirements. A print proof or prototype is normally made for our clients to approve and sign off before starting production. Tooling is a necessary part of the manufacturing process for your custom packaging. 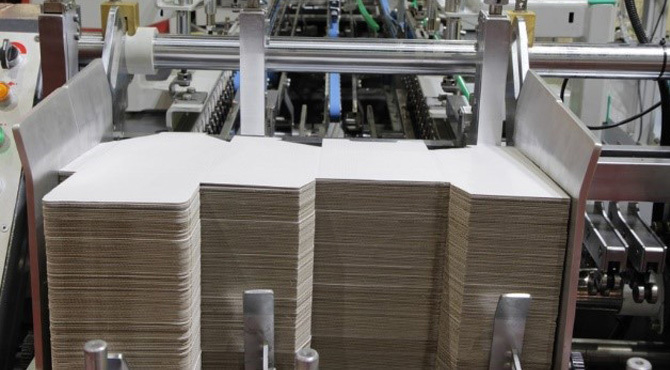 The following tools are used in manufacturing custom cardboard packaging: Cutting Dies, Foil Stamping Dies, Embossing/Debossing Dies and Printing Plates. It involves great skill to create Printing Plates and Cutting Dies that produce a great result. With good tooling, that is made correctly, you get clear print and crisp, consistent, great quality customized packaging, made exactly to your specific requirements, such as shape and size. Custom packaging varies greatly and is rarely the same so normally new tooling is required for each specific item. Your first order for any custom packaging has a tooling charge included as a separate amount on your quote. The tooling fees are not charged again unless your custom packaging requirements change such as your artwork or dimensions. Plates and Dies are used many times before they need replacement so your initial investment on tooling pays off as they are reused on future orders. 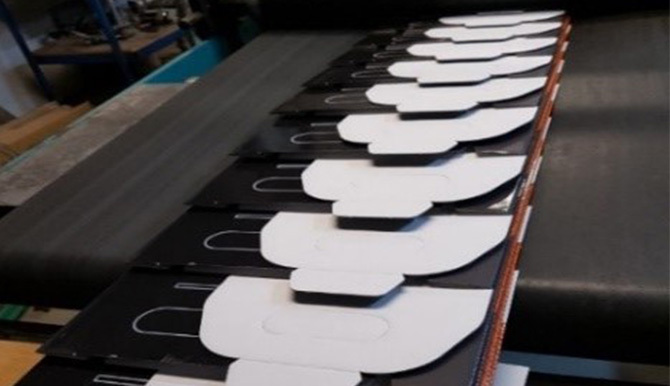 If a cutting die or printing plate is made and you decide to change the specifications of your custom packaging, a new die or plate must be made. A die costs more if the box or display is larger or more complicated. 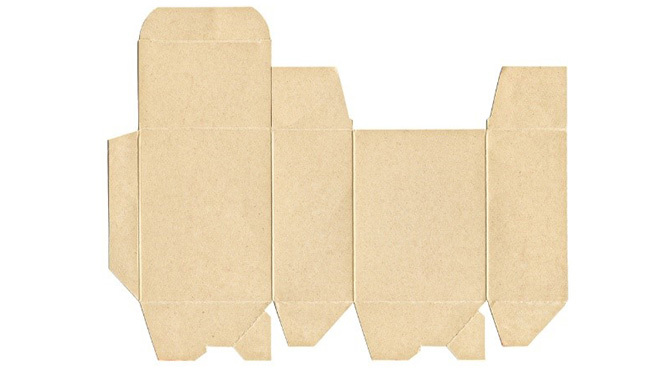 An extra cutting die may be needed for an insert to hold your product in place inside your customised packaging. The larger the area or more intricate the foil stamping or embossing/debossing is, the more expensive it will be. The more colours on your packaging or display or the larger the print surface the more expensive the printing plates will be. A cutting die cuts out the exact, specific shape and dimensions of your custom boxes or display stands. 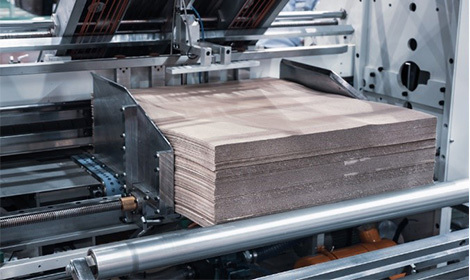 These forms are used to die-cut, score, crease-cut, perforate and crush corrugated cardboard which enables boxes and inserts to be replicated thousands of times with accurate precision. 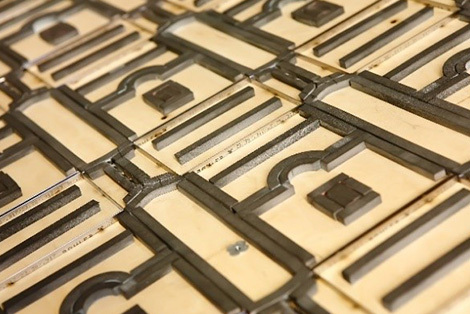 A Die Cutting Forme or Die is made up of many different materials, such as, timber, steel ‘rule’ for creasing and cutting different densities of rubber. Some dies are curved for a Rotary Die Cutter while others are flat for a Flatbed Die Cutter. 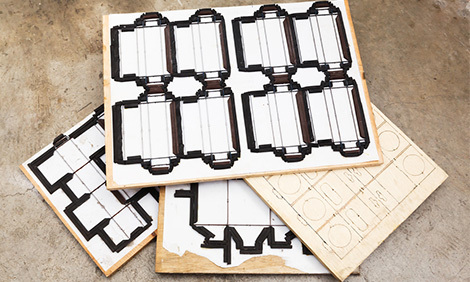 A well-made Die Cutting Forme will produce a clean cut and accurate finish. Die cutting can achieve many unique designs. 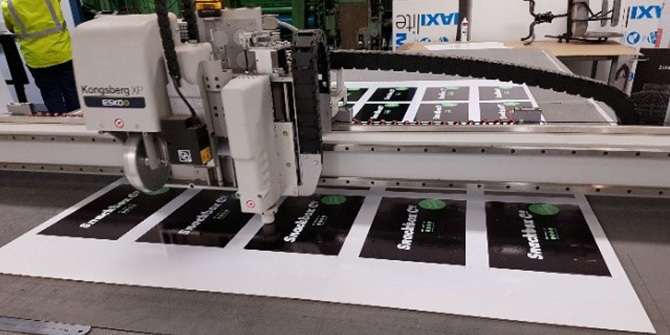 A Digital flatbed cutting table is used to produce small volumes of customised packaging or short run displays, so the expense of the tooling is not needed. With the use of CAD programs for design and cutting, we can make samples and prototypes perfectly and custom packaging fast and accurately. 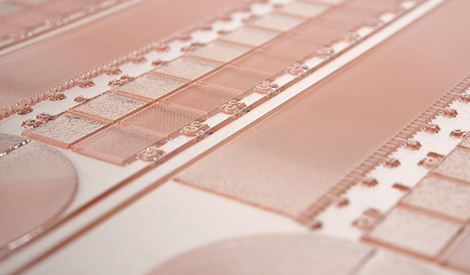 Printing Plates are made of various materials. 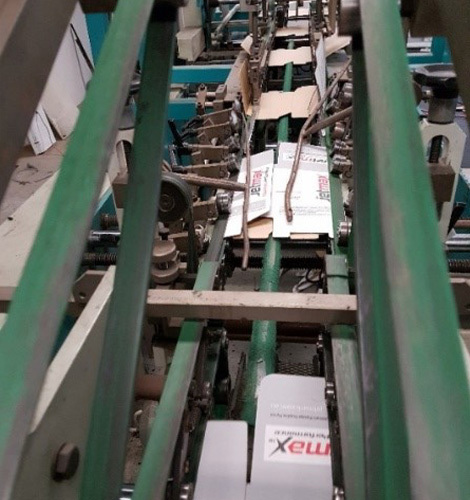 Flexographic is the most basic and cost-effective method for printing on boxes. The inks are water-based which have a flat finish and are transferred directly onto the corrugated cardboard using a soft printing plate. If your design uses multiple colours, there will be a different printing plate for each colour. Lithographic printing usually uses a thin plastic or metal plate. 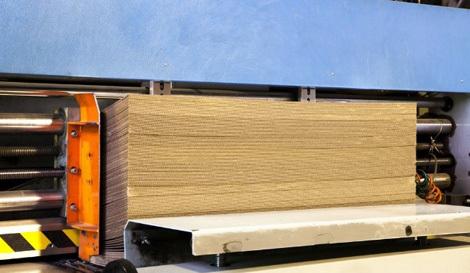 This method produces rich colours and photographic images as well as gloss finishes and is mostly printed on a sheet that is laminated to the cardboard. It is the type of print quality that appears on retail products. 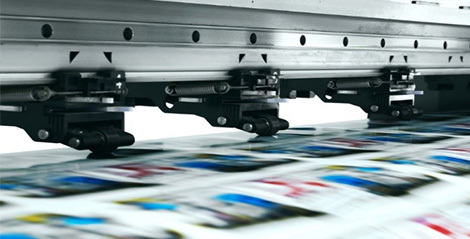 Digital printing doesn’t need a printing plate which makes the start-up costs lower but is higher per unit cost. It is used for printing small quantities and uses a computerized inkjet system. It is well worth the expense and effort to have your packaging fitting perfectly and worth adjusting the measurements to improve the functionality of your specialised custom packaging. Even if your customer is not aware of why the packaging will feel and look better when it reaches them, it will be because it has been custom made to fit perfectly. An appointment or phone call with one of our design and packaging experts will help you to quickly identify the type and style of carton or point of sale item required. To discover how we can help you with our services, get in touch. Email us at sales@inboxgroup.com.au and call us on 1300 97 88 55 for a free quote today!